Have you noticed a change in your cat’s ability to run, jump or play? This could be a sign that your cat has pain from Osteoarthritis. 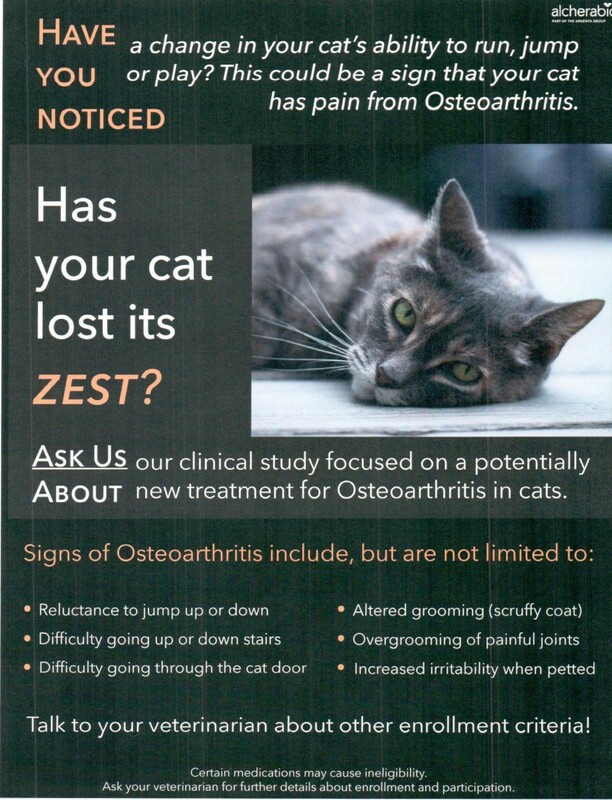 Currently, we are running a clinical study focused on a potentially new treatment for Osteoarthritis in cats – your cat may be eligible to enroll! Contact us to find out more about benefits and requirements of participation.